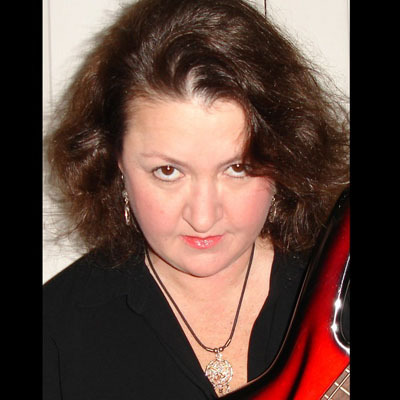 Singer, composer, bassist, guitarist, and ALL things music, Sherry Iles' musical experience has included many exciting collaborations and performances. She formed a successful six piece all woman band called, Hijinx that rocked the Seattle area during the 80's . . . The music of the album "Owe Spirit" by Sherry Iles is a combination of rich, resonate, mesmerizing harmony vocals, and heavily driven guitar oriented rock. The rhythm section providing a supportive foundation for the haunting melodies command each & every listener's attention . .
Sherry gives music lessons in Augusta, GA! Have you ever wanted to learn to play an instrument? Do you have children who are interested in music? It's never too early and it's never too late to get started. Music is not only FUN, but helps in the development of focus, math, reading & social skills. Visit the MUSIC page to hear my latest recordings! Take notice, you may download the song below, Someone Like You via CD Baby! F R E E Lesson with every successful new student YOU refer to me! No limit! Refer one student, get one free lesson. Refer 20, get 20 free lessons!